The star of the day... will be your little one with this super dirndl for kids in the colour of blue reeds. Stockerpoint model. Dirndl outer fabric in high-quality retro design combined with a blue skirt in dot pattern. The apron and the trim on the dirndl cut are perfectly matched and original as the dirndl for adults. Children's costumes are more popular than ever. 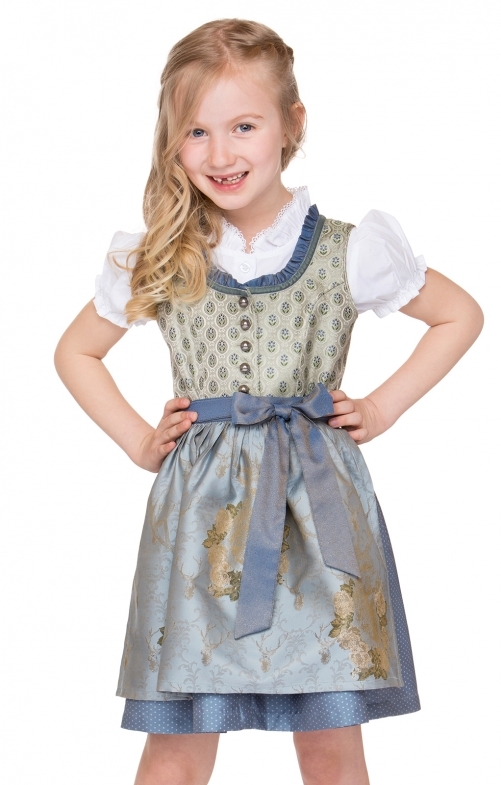 Surprise your relatives and guests with an extravagant kid's dirndl. The dirndl is offered in three parts, including the dirndl apron and blouse.